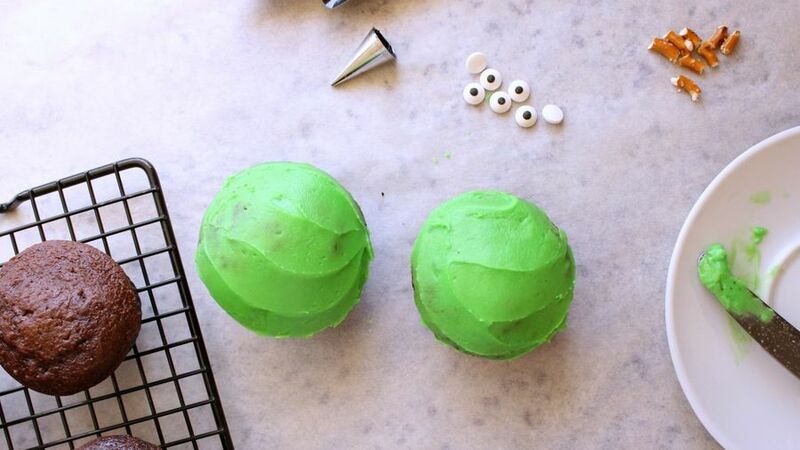 Using a knife or a small spatula, cover the cupcakes completely with green frosting. Let them sit for a few minutes. 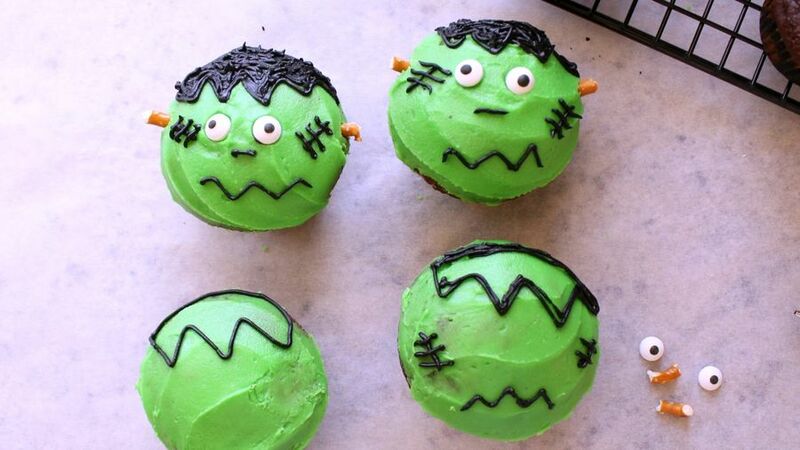 Decorate the cupcakes, starting with Frankenstein’s hair. This will be a good reference point when decorating the rest of the face. Now do the scars, nose, and mouth. 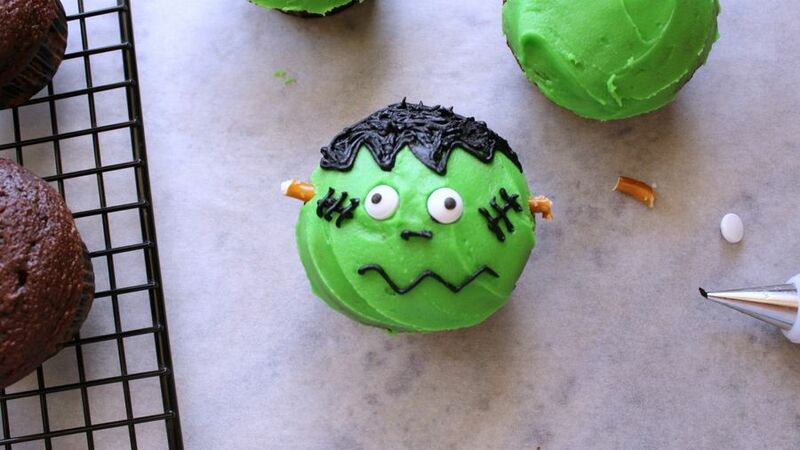 Place the eyes on the cupcakes with a bit of frosting so they stick. 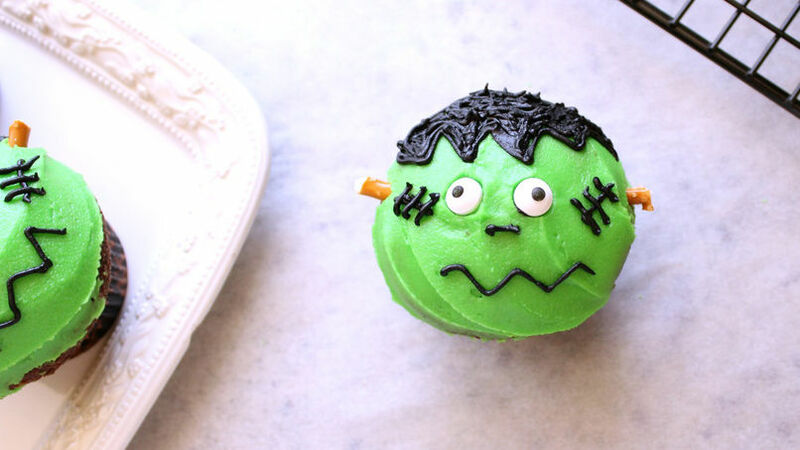 If you want, you can also use black frosting for the eyes instead of using candy eyes. Finish the Frankenstein with two small pieces of pretzels on each side. Now all you need to do is enjoy your cupcakes! You can also use very small pieces of marshmallows instead of pretzel sticks.